If you want to see and hear my first talk about our lessons learned from the ADOM crowdfunding campaign you can find it here: https://go.twitch.tv/videos/200492753 (starts at roughly 3 hours, 53 minutes). If you want to see and hear my second talk regarding the current state of ADOM, its future and our five big announcements, it is here: https://go.twitch.tv/videos/200740124 (roughly at the 7 minute mark). Naturally I also recommend all the other talks from Roguelike Celebration 2017: https://go.twitch.tv/roguelike_con/videos/all My impression (and I have others heard voice the same opinion) was that the quality level of the talks was even higher this year than in 2016 (and 2016 already was awesome) - so it's worth spending a couple of hours on topics that might interest you (or just sound fascinating - many truly were!). 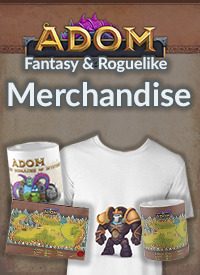 Regarding ADOM: Next week will be yet another week of completely finishing up the crowdfunding stuff for production release (more bug fixes in the 3.0.x development line in order to get it to Steam and the general public; and we already have been alpha-testing the global highscore server and hopefully will move this at least to beta and a larger audience). And I'm working on fully recovering my hand. Additionally the team slowly is starting to plan both the 20% future development track for ADOM as well as the 80+% development track for Ultimate ADOM. 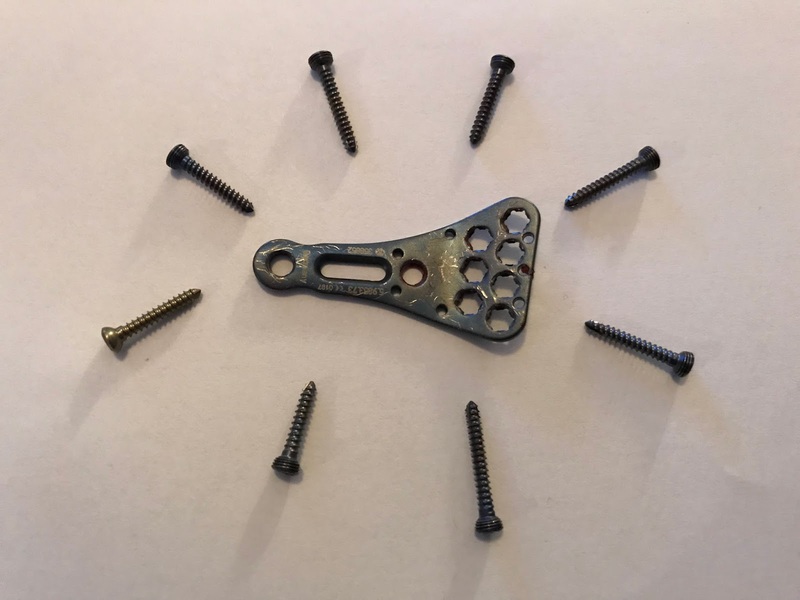 Exciting times ahead - see you soon! Glad you allright, Thomas, allso i am very excited about future Adom. ADOM 3.0.0 released as a prerelease test version! Character sheet for ADOM Lite RPG now available! 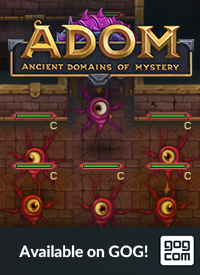 Full Steam release: ADOM 2.3.8 is here! 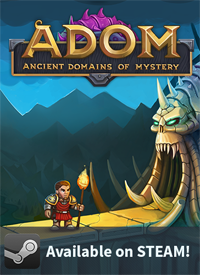 Full Steam release: Welcome ADOM 2.3.7!